I would imagine that many of our readers have looked longingly at the Berkey water filters and thought, “If only the price was lower, I could really use one of those.” Well, I thought exactly the same thing. As I was thinking that exact same thing, I was looking at some of the free buckets I had recently gotten from Sam’s Club for food storage. Suddenly, a light bulb appeared over my head. Why not make my own filter? The heart and soul of the Berkey filters are the filter elements themselves. I didn’t really need a fancy stainless steel container to dispense my filtered water. Maybe, just maybe those free give gallon buckets sitting across the room would work. I decided to give it a try. 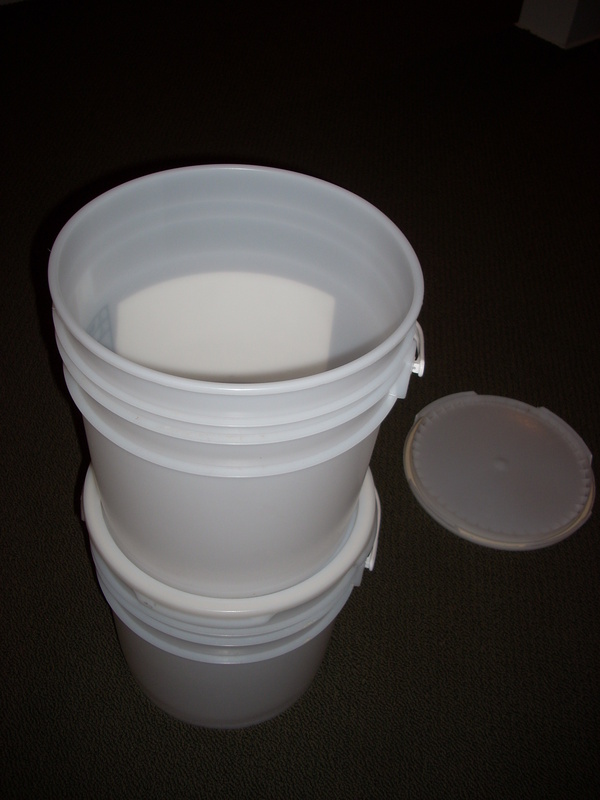 Step 2: Insert the threaded tubes of the filter elements through the bottom of the top bucket and the lid of the bottom bucket. 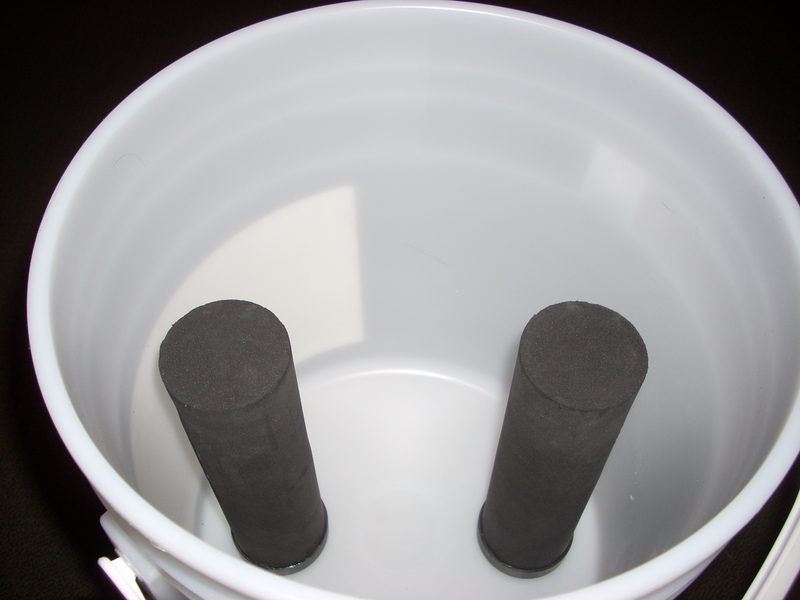 Screw the keeper nuts onto the filters and tighten them to finger-tight (do not over-tighten). 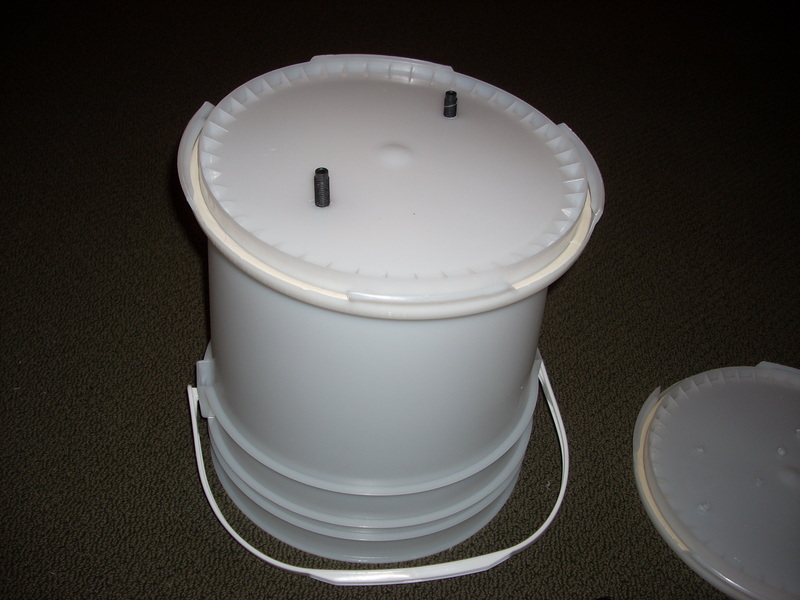 The included washer should be on the filter tube inside the top bucket. 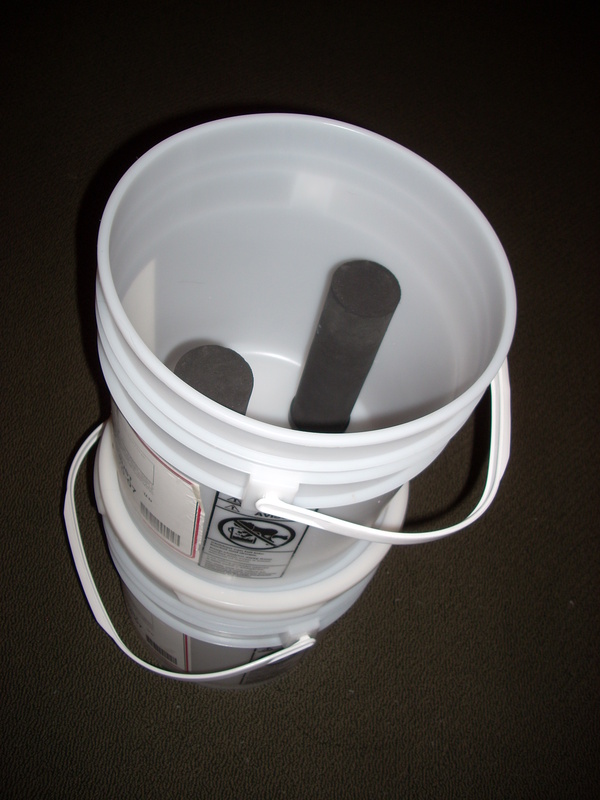 Step 3: Drill a 5/8″ hole in the side of the bottom bucket near the bottom. Make sure you leave enough room for the spigot’s nozzle below the hole. Slide the threaded spigot tube through the hole and tighten down the keeper nut. There should be a washer on either side of the bucket. Your finished filter will look like this. The twin filters are good for 6000 gallons of water. 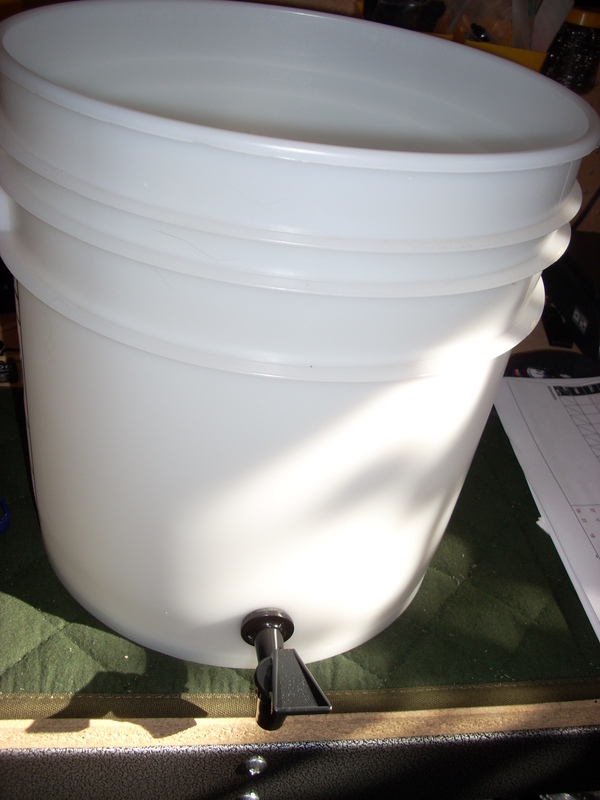 I can filter about four gallons of water an hour. 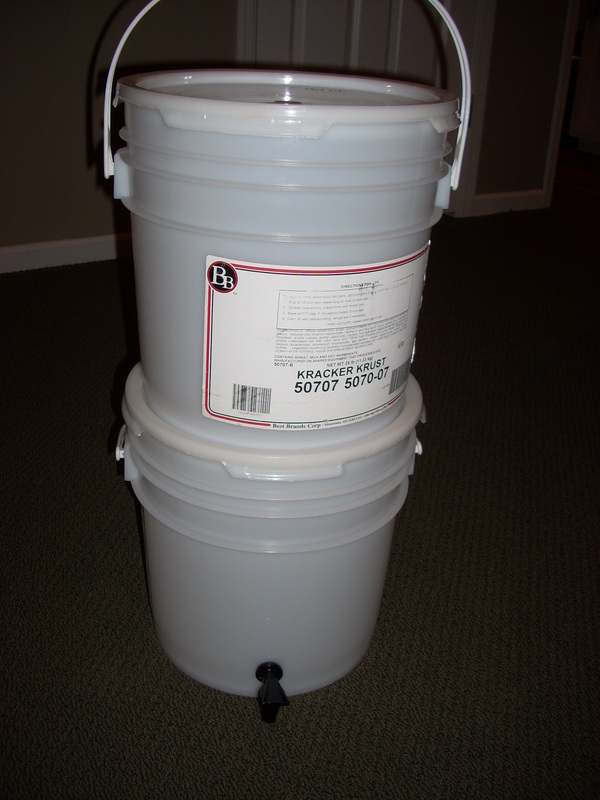 You might want to make tic marks on the lid or the side of the buckets to keep track of how many gallons you’ve filtered. You might also want to buy a second pair of filters. You know, just in case ….